Discovery Communications is acquiring Scripps Networks Interactive in a $14.6 billion deal announced today. Once finalized, Discovery will produce around 8,000 hours of original programming yearly and 7 billion short-form video streams monthly. It will also control approximately 20 percent of ad-supported, pay-TV audiences in the US and host eight of viewers’ top 10 favorite channels. With the acquisition, Discovery will not only expand its channel portfolio, it will also gain a large portion of the US female audiences that Scripps channels currently attract. The combined company will claim 20 percent of primetime female viewership. Discovery, home to TLC, Animal Planet and Discovery Channel outbid Viacom for the purchase of Scripps, which includes HGTV, Food Network and Travel Channel among its channel offerings. The deal will save the companies around $350 million in costs and will give Discovery more leverage when negotiating contracts with distributors. It will also help Discovery’s position if it decides to offer a skinny bundle of its programming in the future, which is important as viewers continue to move towards streaming and on-demand viewing over scheduled broadcasts. “We believe that by coming together with Scripps, we will create a stronger, more flexible and more dynamic media company with a global content engine that can be fully optimized and monetized across our combined networks, products and services in every country around the world,” said Discovery Communications CEO David Zaslav in a statement. That changed, though, in the early ’90s, when nonprofits and journalists began to undercover vast labor and environmental issues connected to suppliers of large corporations, shining a spotlight on the dark side of the global consumer market. This led to the development of an array of supply chain technologies — RFIDs, remote sensing, satellite monitoring, even blockchain-based tools. Many were marketed as solutions, aimed at making it easier to monitor and respond to human rights and environmental violations along supply chains. The results, however, have been mixed. One of the issues that NGOs helped bring to light was about conflict minerals, which fueled the Congolese Civil War of the 1990s — widely considered the deadliest war since World War II. Evidence grew that many of the minerals being mined in the Democratic Republic of the Congo ended up, after trading hands countless times, in factories producing goods for major US technology companies. Smartphone, laptop and tablet sales were partly to blame for a conflict that was killing millions. “[These laws] really caused companies to think more about how they could collect information about what is necessary to drive transparency in the supply chain,” said Rohwer. Thinking about change was not enough. In 2015, analysis of these disclosures found that three years after the regulations had passed, few companies could accurately source their minerals. That same year, massive wildfires fueled by rampant deforestation connected to palm oil, the most consumed food oil in the world, burned 2.5 million hectares of rainforest. And this happened just two years after the horrific Rana Plaza factory collapse, in which more than 1,100 people — mostly women — died while producing clothing in unsafe conditions for global brands including Joe Fresh, Primark and Benetton. In response to both the documented atrocities and the new laws, a plethora of tools meant to illuminate supply chains emerged. On the hardware side are technologies like RFIDs, which can increase supply chain visibility, and newer tools like Stardust, a dustlike tracker that helps assess the authenticity of goods along a supply chain and is nearly impossible to detect and alter — some believe it could address illegal timber. There are also software tools that allow for better aggregating, analyzing, visualizing and verifying of supply chain information, like Global Traceability’s Radix Tree, a platform that enables buyers to collect information from suppliers to establish a chain of custody. The latest trend “revolution” in supply chains is blockchain, the digital distributed ledger that powers Bitcoin. So far, though, the applications of satellites to make information more ethical and transparent has been limited to a few initiatives like GLAD. Mostly, companies are using satellites for other purposes: to better understand crop yields or to spy on a competitor’s supply chain. Orbital Insight and Descartes Labs are focusing primarily on the commercial applications of their products first and not yet doing much on the ethical side, though both plan to. In fact, many of these tools showcased at conferences or in press releases are not yet being utilized on a wide scale. It’s not even clear that technology itself matters. Simple tools with actionable plans could be more effective than fancy, expensive ones. For example, one of the most successful tools is the self-described tech-agnostic Laborlink, a product of Good World Solutions, which supplies workers around the world with a secure, anonymous method of providing information about working conditions in their factories. It addresses one of the key weaknesses of the system that was implemented after the initial wave of revelations about working conditions in the 1990s, in which auditors enter factories at regular intervals and conduct checklist walk-through examinations. Auditing is haphazard and unreliable, with well-documented cases of fake reports. Moreover, workers’ voices are only tangentially included, with Holzman estimating most audits only include statements from 10 to 20 workers maximum. As factories and plantations can have upward of 1,000 workers, this can be woefully inadequate. This approach has been successful in creating knowledge about what’s taking place in factories and giving companies that care an opportunity to address those concerns. Other low-tech actors making a difference are NGOs. It is because of them that we have supply-chain accountability legislation, and it’s often them, or their partners on the ground, who are spreading the word about unsafe working conditions or illegal deforestation. But RAN does not expect technology itself to be the solution. It has been working on supply-chain issues since its inception, and it focuses on both environmental degradation and human rights violations in tropical-forest regions. To RAN, the idea that multinational corporations lack knowledge about what’s really happening in their supply chains when it can find out and publish verifiable reports is incredulous. “Time and time again we have seen companies use new tools and technology to further obfuscate the issue rather than to truly take responsibility for the conflicts in their supply chain,” said Lierley. For example, shipping data on who is buying and selling palm oil could illuminate how supply chains connect to labor violations widely documented in Southeast Asia, but it is prohibitively expensive and often inaccessible to third parties like NGOs or journalists. Similarly, access to mapping data about land ownership could allow NGOs to connect illegal deforestation and fire to global companies, but the data remains under lock in Indonesian government and corporate databases. “The lack of transparency in palm oil supply chains comes down to a lack of willpower, not a lack of tools,” said Lierley. This can be demonstrated by the companies that have made progress. Years ago Nike was the poster child for labor violations in its subcontractors’ factories, but after years of hard work in collaboration with NGOs and academia, it has become a model in the shoe industry, recently releasing a map of all of its factories. Similarly, Intel, once complicit along with most of the technology industry as likely using conflict minerals, has, after doing a detailed public analysis with the NGO Resolve, officially declared its supply chain as conflict free. Technology cannot be a solution by itself. All it can do is provide better information — perhaps more-accurate information, perhaps more-actionable information, perhaps better-organized information, but in the end just information. And sometimes information alone is not enough. “Technology can help on conflict minerals, but it has limitations,” said Lezhnev. “For example, digital scanning of minerals can improve tracing at mines, but human intelligence is needed to verify claims of minerals traders of being conflict free or not.” Without the latter, the former is not useful. The environment is suffering too. Deforestation is still continuing, and if action isn’t taken soon, there won’t be any orangutans left in Borneo, among other major problems. The existence of human and environmental violations along global supply chains is not a problem of technology but a problem of the wider global society. The problem may not be that we don’t understand the origins of our products but rather whether understanding is enough to make industry, consumers or governments act any differently. Satellites, blockchain tools, artificial intelligence and massive datasets can’t solve that. The latest from Alphabet’s experimental X division? A storage solution for renewable energy. Code named “Malta,” the system uses tanks of salt and antifreeze (or another hydrocarbon liquid) to create and store energy. Salt can apparently store energy for days, so this would give energy companies that are dumping off electricity generated from wind farms and solar panels a place to hold it. According to Bloomberg’s sources, California had to dump off over 300,000 megawatts of electricity (which could’ve powered “tens of thousands” of homes) already this year. That’s a lot of wasted juice. This isn’t a full-on X experiment like Project Loon, however. It isn’t fully funded yet, but Alphabet has built a proof of concept in a Silicon Valley warehouse and is working to find business partners for a commercial prototype that can connect to the electrical grid. From here it’s a lot of testing build materials that can be sourced cheaply, and making sure the thermodynamics are good to go. Salt-based storage could be cheaper than things like lithium-ion batteries by quite a bit, but from the sounds of it, this is still a ways off from being ready for market. Largely because current gas and oil prices are low and investors don’t see short-term pay-offs with alternative fuels. Good thing Alphabet isn’t exactly hurting for money, then. We’ll be the first to admit that a virtual-reality session isn’t terribly conducive to bonding with new friends in the dorm. But, hey, a few of us here at Engadget are introverts, so you don’t need to explain to us the value of strapping on a headset and momentarily blocking out the stress of classes and meeting new people. Included in our back-to-school guide are many of the usual suspects, like the Oculus Rift, PlayStation VR and Daydream View. We also recommend the optional Rift and Gear VR controllers, as well as games like Rock Band VR and Farpoint. Enjoy your escape from the real world, but remember to take a social break from time to time. The company has been playing around with different ways to link social media influencers with product sales. Earlier this year, Amazon launched an “influencer program” that allowed popular social media personalities to set up a page on its site with lists of Amazon products they recommend for their followers. In March, the company launched its first live TV show, Style Code Live, which was its take on a QVC-like shopping channel. However, it was cancelled shortly thereafter in May. Figuring out how to feed the Earth’s population is no small feat, which is why a recent development is so exciting. Researchers at the Lappeenranta University of Technology and VTT Technical Research Centre of Finland have figured out a way to produce single-cell protein from electricity and carbon dioxide. It can be manufactured anywhere energy (wind farms, solar energy, etc.) and light are available. 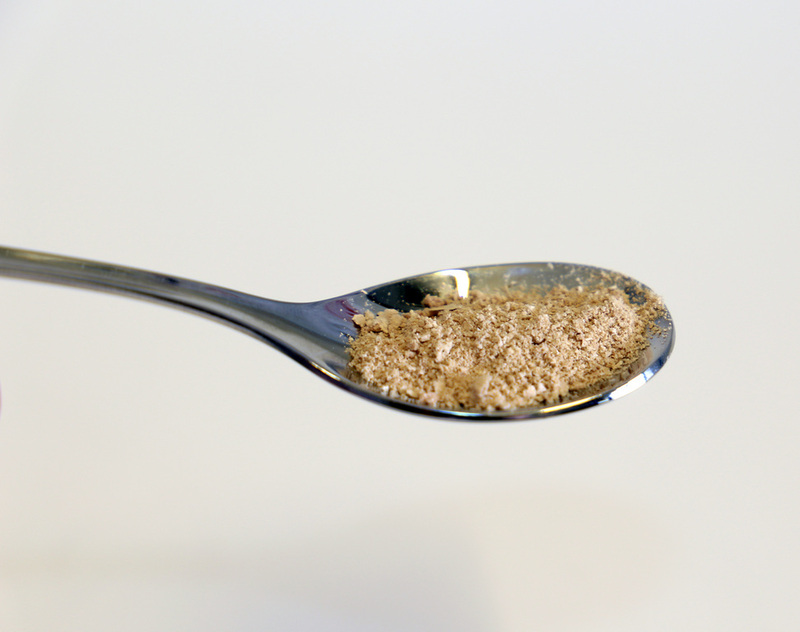 Currently, it takes about two weeks to manufacture just one gram (.03 ounce) of the protein. It’s also 10 times more efficient than photosynthesis. While that might seem impressive, both efficiency and speed need to increase drastically before this can be considered for commercial use; the next step is to embark on a pilot program to test the product. “The idea is to develop the concept into a mass product, with a price that drops as the technology becomes more common,” explains Jero Ahola, one of the scientists on the project. Netflix isn’t the only video service suffering form a hack: HBO has been breached as well. Hackers have gotten their mitts on 1.5 terabytes of data according to Entertainment Weekly, which apparently includes an episode of Ballers and Room 104 in addition to what may or may not be text related to next week’s Game of Thrones installment. The hackers promise more will be leaked. For its part, HBO has issued an email of its own to employees saying that its tech team and outside experts were assessing and addressing the situation. “I have absolutely no doubt that we will navigate our way through this successfully,” chairman and CEO Richard Plepler writes. “Data protection is a top priority at HBO, and we take seriously our responsibility to protect the data we hold,” a statement given to Entertainment Weekly says. Comparatively, Sony lost “under a hundred” terabytes of data in the leak that gave us an inside look at how the studio works. Game of Thrones hasn’t leaked yet, so this could be a bluff from the hackers. If that changes, well, now fans of the books and the show will be able to commiserate over spoilers. Gboard might not be the fastest input method for your device, but that doesn’t negate its utility. 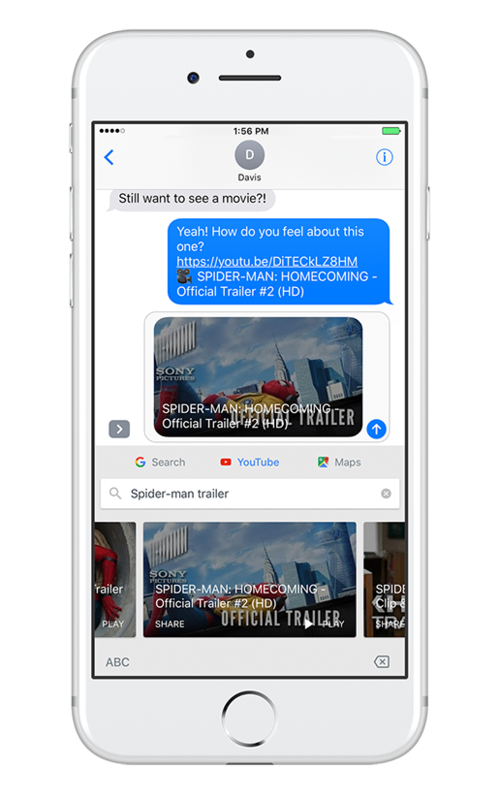 Swapping to it within a text message thread or Facebook Messenger is faster than jumping into another app to get, say, an image from Google and then copying and pasting the link. Now, Google is adding Maps and YouTube to the party on iOS and they work how you’d expect, with dedicated tabs that appear when you hit the G button. Sending your location is like dropping a GPS pin in iMessage and searching for a YouTube clip is as easy as doing so within its app. Hell, you can even submit your own digital finger-paintings as Doodle candidates. These add-ons are cool (and useful! ), but it’d be great to see Google add some quality of life improvements like and key-press speed or Gmail syncing for predictive text. You know, stuff SwiftKey has offered for years. If you’ve played Éric Chahi’s classic action-adventure Another World (aka Out of this World), there’s a good chance you remember the soundtrack. Large chunks of the game were punctuated by silence, but you knew something special was happening whenever Jean-François Freitas’ ethereal, Vangelis-like score began to play. Now, you can relive those moments on your turntable. Black Screen Records is releasing a vinyl (plus a CD, we’d add) version of the soundtrack, making it available for the first time beyond the deluxe editions of the game’s 20th anniversary release. The track list includes both the music common to all versions of the game as well as the intro and endgame music specific to the Amiga and 2004 Windows versions. You can pre-order the soundtrack ahead of its August 18th ship date, and you might want to do that if you’re determined to get the most fanciful copy possible. Black Screen is selling an exclusive orange record, while the French get a blue record at the official Another World store. You’ll otherwise have to ‘settle’ for old-school black vinyl unless you’re willing to wait for a future US exclusive. It’s a bit overkill given the relatively short running time (you can likely finish listening in the time it takes to make dinner), but it might hit the spot if you still have fond memories of incinerating guards and running away from mysterious beasts. Sansar, the VR platform by Second Life creator Linden Lab, is now available for everyone to explore. 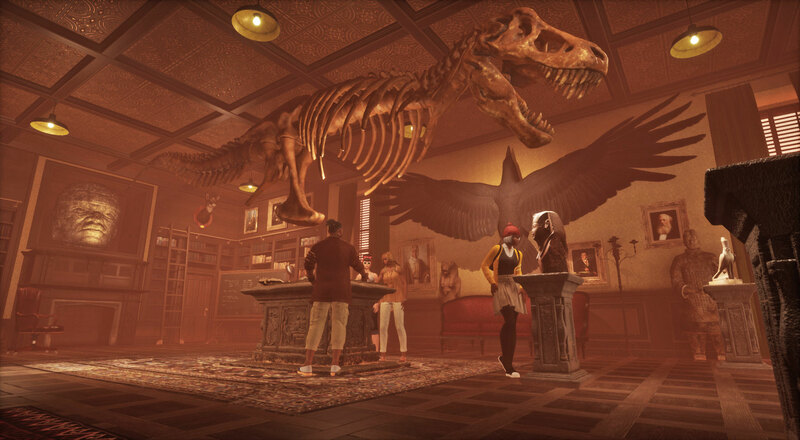 The public “creator beta” follows a private “creator preview,” which allowed developers and aspiring level designers to try Sansar’s building tools. That period was crucial given, like Second Life, Linden Lab is banking on the community to populate Sansar with interesting experiences. Today, there are “hundreds” of places to explore, including museums, theaters and tropical temples. Some are virtual postcards, while others have games and stories inside them. Everything is free to try too, whether you’re playing on a PC, Oculus Rift or HTC Vive. Last week the team behind AltSpaceVR, one of the most popular social VR , announced it would be closing down next month. The company had run into funding problems, and outlined in a frank blog post how it had struggled to secure a new funding round. Linden Lab is hoping to avoid a similar fate through its unique business model, which involves taking a small cut of marketplace purchases. With Sansar, anyone can design and upload a virtual object — a chair, a car, anything really — and then sell it to other users. The recipient can then use it to speed-build their own experience, whether it’s a private home or a bombastic game for the public. Everyone can create three personal lots, or “experiences,” for free. The “Creator” subscription, which costs $9.99 per month, takes that to five and promises speedier customer support over email. The “Super Creator” tier, meanwhile, comes with 10 experiences, even faster email responses and live web chat. The “Professional” package, finally, grants you 20 experiences, email, web chat and phone support for $99.99 per month. Pricing could change in the future, however, depending on user feedback during the creator beta. Linden Lab says it’s also working on entrance fees, so creators can charge users access “on the door” for specific experiences. Inside Sansar, you can create an avatar, speak to other people and pick up objects — the usual social MMO fare. While it’s playable with a monitor, mouse and keyboard, Linden Lab has clearly designed it with VR headsets in mind. Last year, I tried an early build with an Oculus Rift and two Touch controllers, chatting with chief executive Ebbe Altberg from opposite sides of the planet. It’s a novel experience that Facebook has since tried to replicate with its VR app Spaces. The difference with Sansar is its deep, but newcomer-friendly level builder; Linden Lab hopes everyone will craft their own experiences that slowly attract new people to the platform. Still, it’s unclear how popular virtual reality will become. Oculus Rift and HTC Vive sales are stable, but slower than some people expected. Linden Lab is bullish about the medium’s future, but it’s telling that Sansar is also playable through a laptop or PC. If you want to try the beta out for yourself, the Sansar app is available to download through the company’s website.